A fruit tree covered with blossoms will eventually produce many small fruit. One of the secrets of getting larger fruit is to thin those fruit aggressively, removing 50-90% of small fruit. This allows the tree to concentrate it’s water and sugars into the remaining fruit, making them larger and more flavorful. So, what’s the problem? 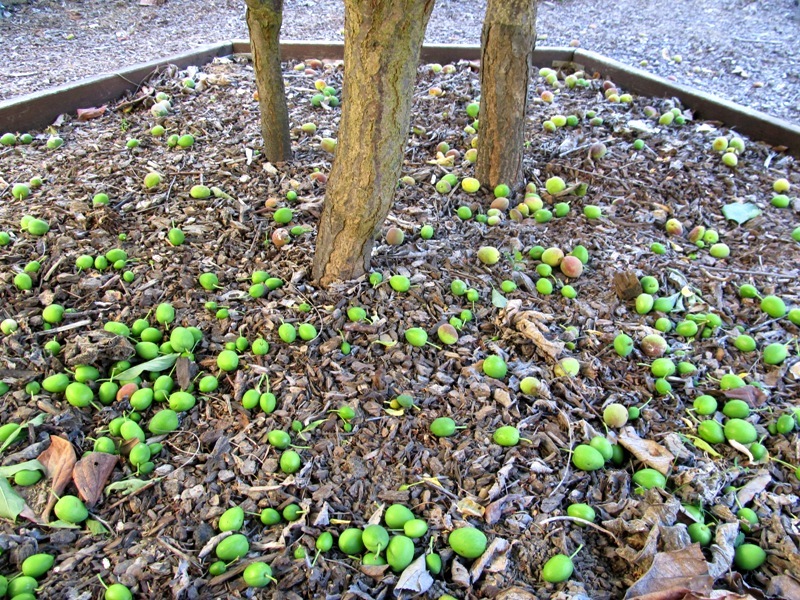 For most backyard orchardists, thinning fruit is a difficult, even painful process. Taking off most of the fruit feels like killing your young. Every one of those fruits has the potential to grow into a tasty morsel. But, just as putting 30 children in a single classroom is not the best way to educate children, leaving all those small fruits on a tree is not the best way to grow tasty and healthy fruit. Having a small number of students in a classroom allows the precious time of a skilled teacher to be focused on a smaller number of children. 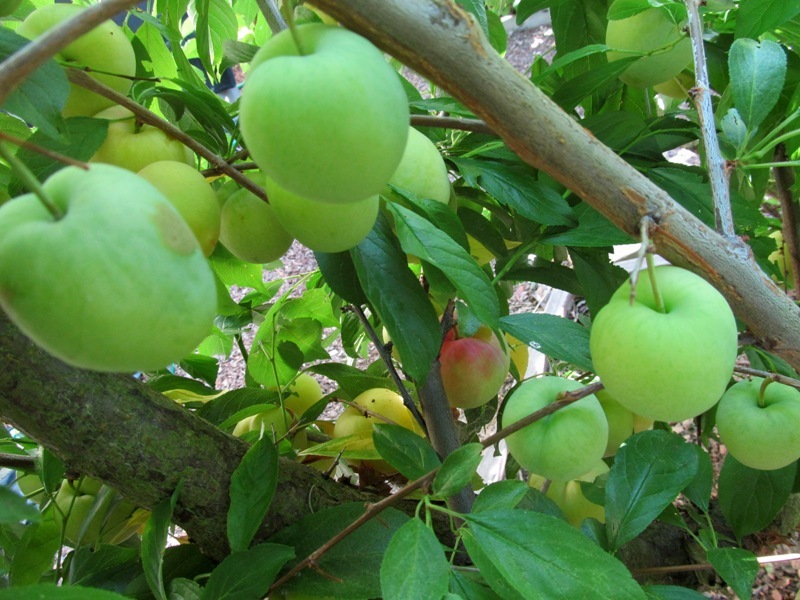 And thinning fruit on your trees allows the tree to focus its resources on the remaining fruit. So, you must thin the fruit. A quick how-to: Thin fruit so the remaining fruit are about six inches apart. Go ahead, just do it. It’s painful, but you’ll be glad you did. The first photo shows the fruit thinned six weeks ago from my apricot and two plums that are planted next to each other. 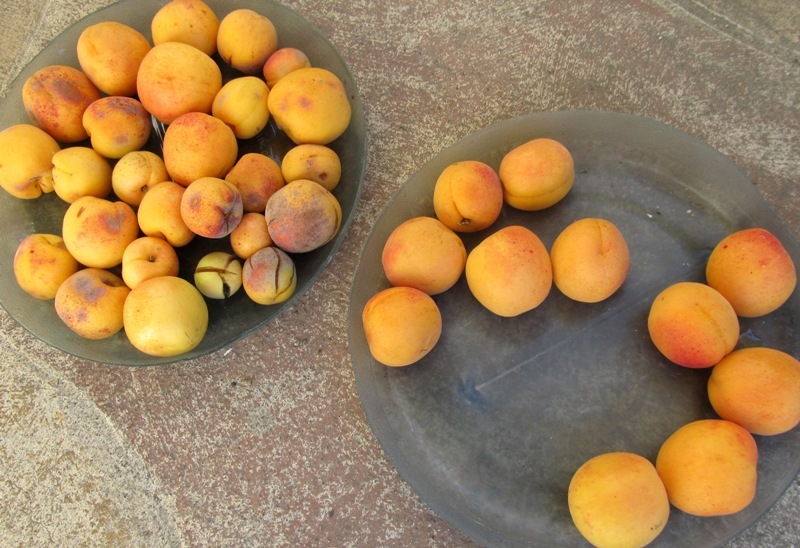 The second picture shows some of this year’s harvest, picked yesterday, of apricots (left) and apriums (right). There are several small fruits among the apricots, suggesting that I didn’t thin aggressively enough on that tree. Next year I’ll have to thin more fruit. The apriums are all large and beautiful, letting me know I did a good job of thinning that tree. The third photo shows some of my nicely spaced (i.e., thinned) crop of plums that are coming along, which I’ll begin to harvest in about one week. Yumm!